A heavy fog looms above the surface of a pond ensconced against a backdrop of snow capped mountains. Well-trodden paths weave through lush forests, while wildlife permeates every corner of the vibrant landscape. A cowboy sits atop his horse, surveying an expansive sun-soaked horizon. He has places to go, animals to hunt, people to help and laws to break. What you do next, is up to you. This is a world that responds to you and your actions at every turn. It’s a world where you can approach any given moment in an astounding variety of ways. 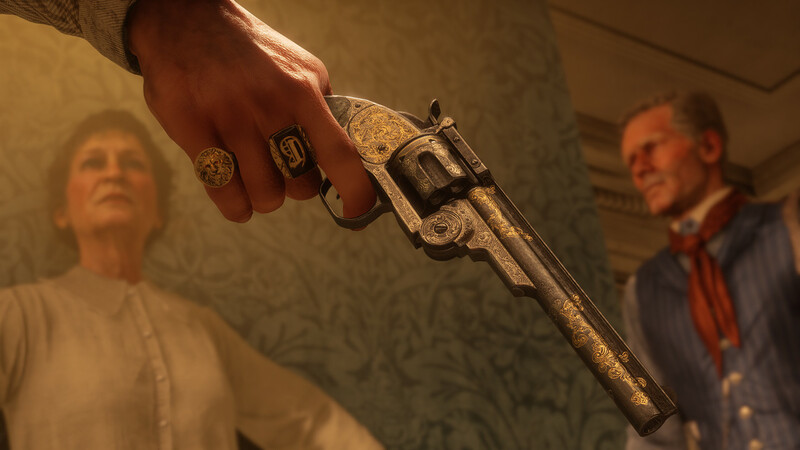 Red Dead Redemption 2 is all about the details. Everything has a place, everything has a purpose. Player agency defines the entire experience in ways rarely seen in the genre or in gaming as a whole. 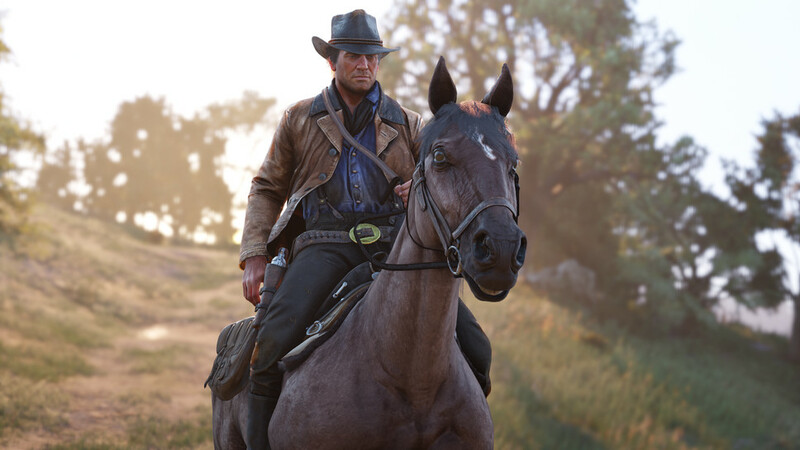 Rockstar Games has studios dotted around the world and every one of them had a hand in the creation of RDR2. 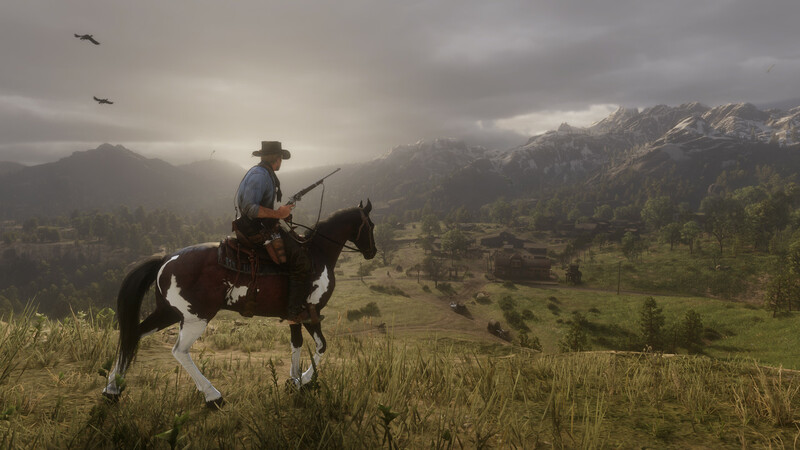 This is the Rockstar's first game built entirely from the ground up for this generation of consoles. It's readily apparent too, as every detail from lighting, animation and AI through to the stunning graphics are unparalleled for an open-world game on console. Player agency defines the entire experience in ways rarely seen in the genre or in gaming as a whole. 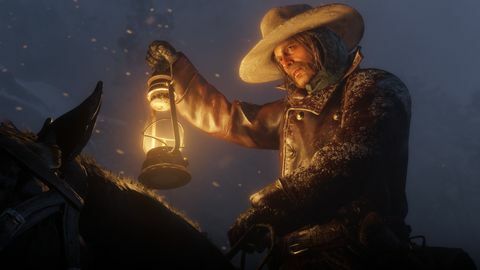 The development team had three core ideas in place when making RDR2 – to create a world that players can feel as if they are visiting and not just playing, to make the world and everything that inhabits it as hyper-detailed as possible and lastly, for players to freely explore the world and experience the protagonist's journey through it. That journey in particular is one of the bigger changes from its predecessor. 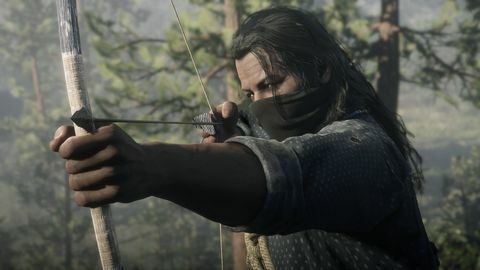 John Marston’s story was primarily a solitary one, where players would tackle missions with little to no backup. 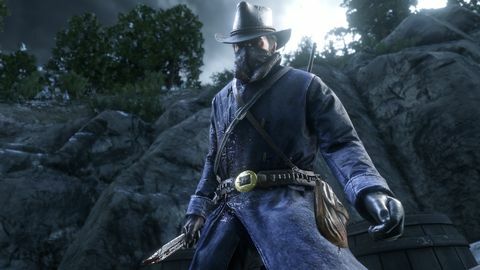 This time around, our protagonist, Arthur Morgan, is a key member of a gang of outlaws – each with a unique personality. These characters will inform many of the decisions you make when out in the world. Will you sell your recent hunting acquisitions to a local butcher for money to upgrade your guns, or do you take the carcass back to camp and feed everyone? 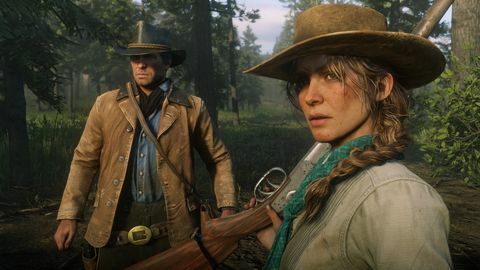 Morgan’s relationship with his fellow outlaws, and their relationships with each other will evolve throughout the game. You can chat with them at any time and they’ll comment on overheard conversations, recent events and even Morgan’s behaviour. Much like real life, your contextual dialogue options will even change when you’ve had a few too many drinks. Your fellow gang members will also accompany you on some outings and will take instruction when attacking rival gangs and enemies. You can strategically time stealth kills with a contextual button press and send one of your gang mates to mercilessly stab an unwitting victim as you simultaneously dispatch his hapless buddy standing next to him at the campfire. Combat is bloody, brutal, and utterly brilliant. Much like real life, your contextual dialogue options will even change when you’ve had a few too many drinks. During my time with the game I took on an action packed train heist that saw Dutch, the gang's leader attempt to recoup some of the huge losses the gang had recently suffered after a town robbery went wrong. 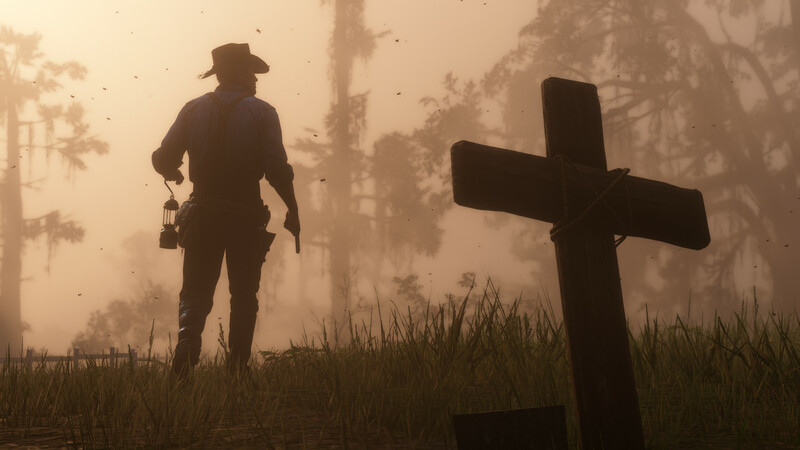 Certain members weren't fully on board with his plan, and it's apparent that this is the beginning of the breakdown that lead to the events of Red Dead Redemption. As Arthur Morgan, I followed the gang to a mountainside overlooking the train track. After helping one of the gang in setting up dynamite on the tracks, we backed away and waited for the train to arrive. Right from the get-go, the plan goes wrong. The detonator fails and we have to sprint to the other side of the mountain and jump onto the moving train. Once on the train, I finally get to let loose and try out the improved shooting; it feels fast and tactile. Taking cover as I made my way through the carriages, I dispatched the train's guards with the viscous efficiency of a seasoned gunslinger. Enemies respond to every bullet in horrifyingly realistic ways, staggering if shot in the legs or arms, or rag-dolling backwards violently after a head-shot. Enemies respond to every bullet in horrifyingly realistic ways. After I killed the driver and brought the train to a stop, the rest of the gang caught up for an epic fire-fight that left bodies of any remaining guards littered around the train. Our prize was in a heavily armoured train car at the back, occupied by a few more hired guns. Dutch ordered the gang to draw them out by firing at the thick metal walls of the car to deafen its occupants, which we did with great zeal. Gunshots rang through the air with an incredible punch and realism. The plan didn't quite work so we were forced to brute force our way in with explosives. Again, the detail hear is amazing as Arthur dynamically shields his face from the blast before it even goes off. We wrangled the car's newly-deaf occupants up outside and headed in to look for anything of value. Once looted, I'm presented with one of the first moral dilemmas that I'm told runs throughout the game. I can let the last of the survivors go and risk a bounty being placed, or I can kill them, leaving no witnesses. I'm an outlaw and for me, Arthur doesn't take risks – so I decide to eliminate them all. It feels wrong, but oh so right. After completing the daring train heist, I headed back to camp. It was bustling with activity, with people sitting around the campfire sharing tales and songs. I spotted a man tied against a tree in camp and made my way over. 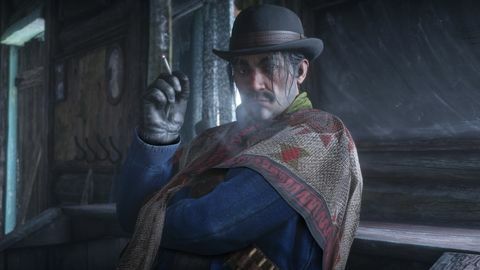 He turned out to be a member of the rival O’Driscoll gang, and after some shady interrogation tactics involving hot prongs and trousers around the ankles, he is convinced to spill the beans about where the rest of his crew are holed up. After following him back to their hide-out, I'm presented with the option to go in guns-blazing or take a more stealthy approach . Being the sneaky bugger I am, I opted for a quiet series of unflinchingly barbaric eliminations. The gang and I quietly murdered our way through the camp, only for me to stupidly fire my pistol instead of taking cover. Everything went to custard as I desperately scrambled for cover while alerted enemies swarmed my location. You'll have to care for your horse and build up a bond over time. Bullets crashed into the environment around me and I quickly utilised the dead eye ability for some fast and efficient kills. Bodies littered the camp as Arthur and the gang eliminated the last stragglers. My heart is pounding at this point, scraping through with a sliver of remaining health. I somehow lost my hat in the scuffle so I headed over to a fallen enemy and picked his up. It's nicer than mine was, so all in all I think we can call the mission a success. 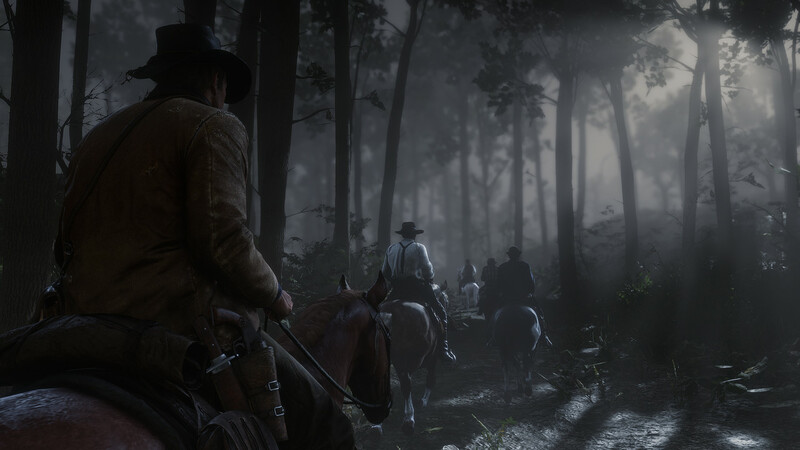 Contextual options are almost limitless in Redemption 2, and elevate the experience of interacting with characters and surroundings to astonishing levels of immersion. You may be travelling to your next point of interest only to stumble upon a stranded traveller. With your gun holstered, you can press a button to bring up a variety of options to interact. You can offer help to the traveller or you may decide to rob him at gunpoint and leave him for dead. In an unexpected moment in my hands-on time, I happened upon a salesman, waving me over on the side of the road. 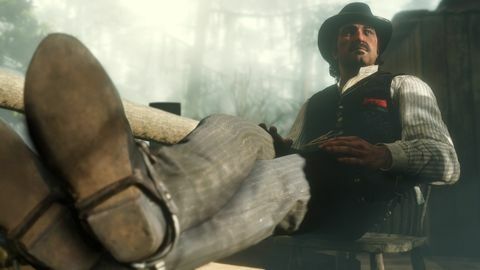 I hopped off of my horse and began to approach him, only to stop dead in my tracks as his horse proceeded to turn and kick him in the side of the head, sending the poor man crashing to the ground with a sickening thud. That tiny little moment felt just like the random encounters that made the first Red Dead Redemption so memorable. 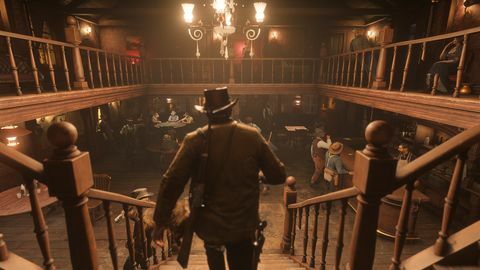 In my brief time with the upcoming western, I was repeatedly taken aback by the incredible quality and performance Rockstar has managed to squeeze out of the PS4 and Xbox One. The minutiae of every object, animal, place and person has been dialed well beyond maximum for a sequel that has been eight and a half years in the making. We’ll have to wait until October 26 to see if the game maintains the immaculate level of polish I witnessed. 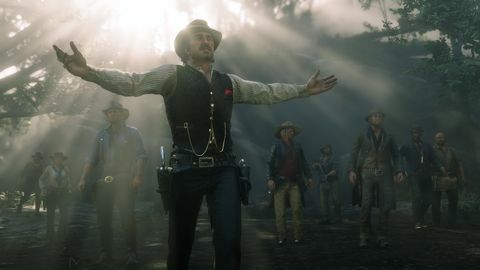 Rockstar’s track record up to now, leaves me with absolutely no doubt that we’re in for something incredibly special. I don’t think I’ve ever described a game as a breath-taker before. Red Dead Redemption 2 appears to be exactly that. Check out all of the screenshots in the gallery below!